As another year draws to a close, it's time to take a moment to stop and take stock of the year past and plan for the year ahead. Evaluating the year's challenges, successes and lessons helps us move ahead boldy and confidently into whatever it is that 2018 may bring. If you're hosting a new year's eve party or having family or friends round for dinner on new year's day, a flower bouquet offers a simple yet highly effective way to add a touch of floral elegance to your surroundings. 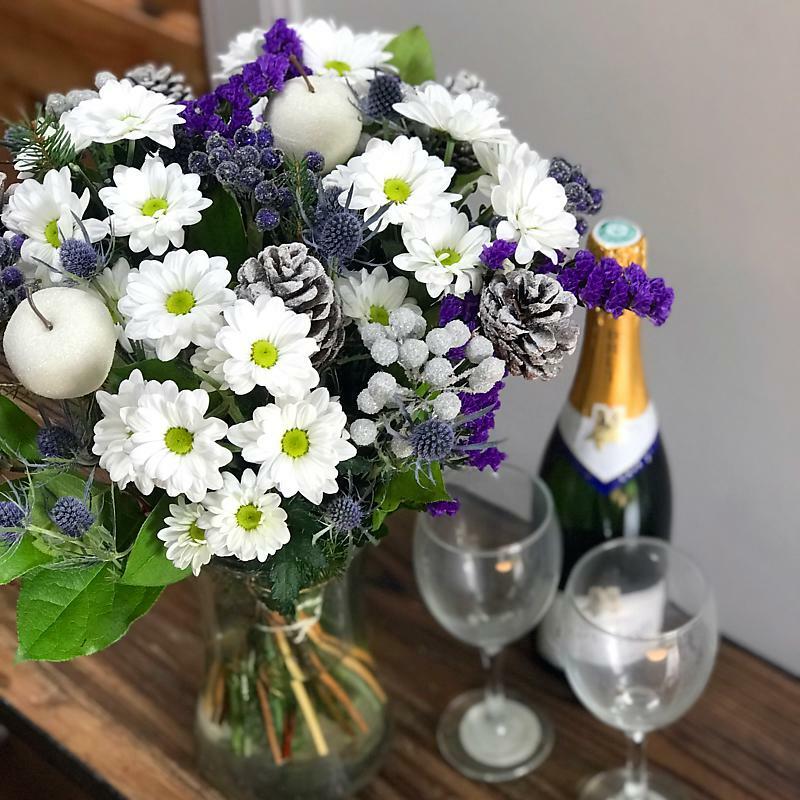 This week only we have savings on some of our finest festive bouquets, perfect for hogmanay or for gifting to the generous friend or family member who hosted you for Christmas. On sale from £49,99 down to just £34.99, our Highland Fling Bouquet would make for a great floral table display on your dining table or sideboard. Composed of a mixture of statice, frosted berries, frosted faux apples, white chrysanthemums and eryingium, this visually compelling arrangement will add a touch of glamour to any setting. 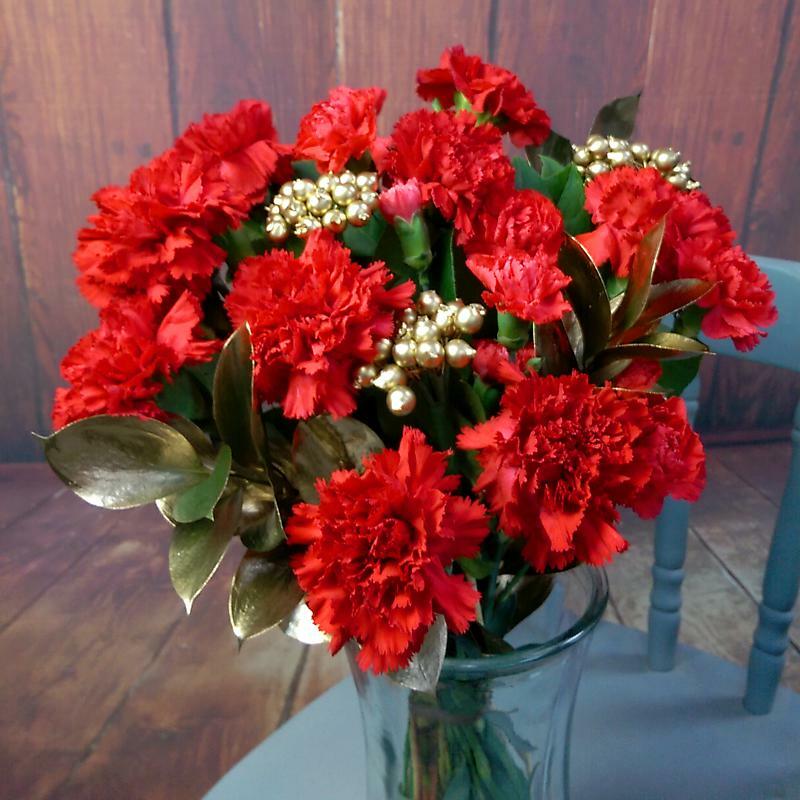 Also on special offer this week is our much admired Carnation Sparkle, an arrangement of fresh red carnations complemented by gold foliage. Reduced from £32.99 to just £19.99, this exuberant bouquet is ideal for expressing your gratitude to deserving loved ones over the festive period. Are you planning to decorate your home with flowers over the new year? Let us know your ideas.